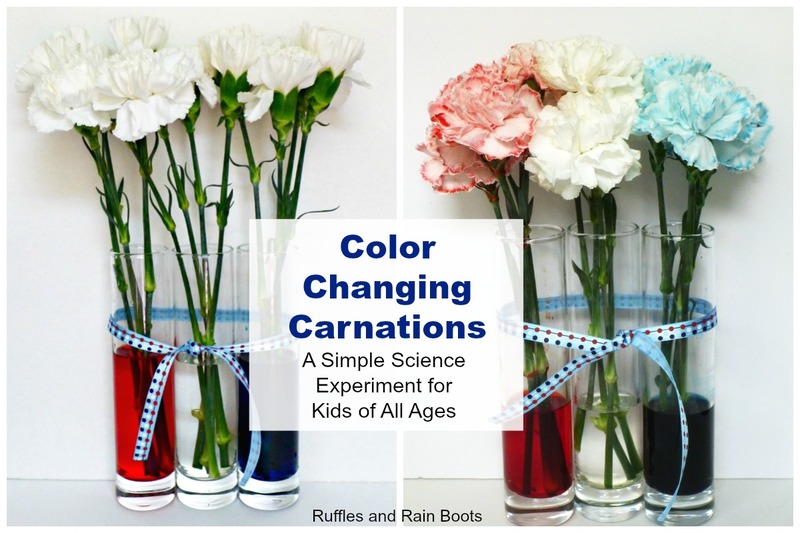 Color changing carnations are a simple science project to set up for kids of any age. 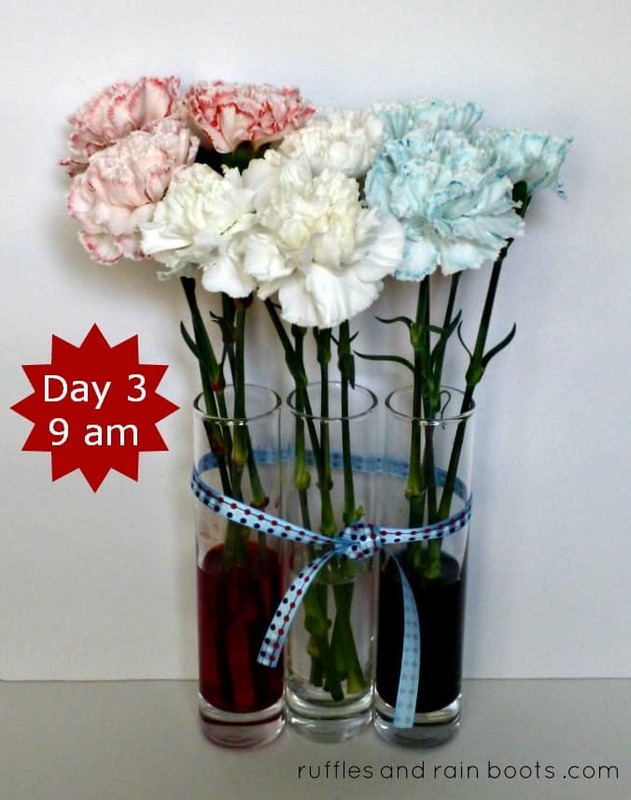 We took a red, white, and blue color theme and used our colored carnations for a very patriotic flower arrangement. Oh, the little one loves experiments and the word, “hypothesis.” And I’m okay with both of those things and will nurture that love for as long as possible. You might have noticed that we do a lot of very simple and safe experiments around here – she’s only 2.5, so we’re a bit limited. After I caught my breath and realized that no one was bleeding profusely from a head wound, I chuckled. It’s a Daddy-Daughter-Date when Elise and Jeff go to Costco together and she was upset they forgot. Elise picked out some flowers for the dining room table and she chose white carnations, ya’ll. Nine, plain, white carnations. As we prepared for Memorial Day here in the States, I thought we could set up a simple, safe experiment to show Elise how plants take in water, all while adding some color to our table. After lunch, we filled up some bud vases with our colored water (about 15 drops of each), cut the stems and set them onto the table. I told her that the flowers drink the water through their stems and Elise began repeating, “drink, flowers, drink” over and over. And over and over. We had to wait for a while for our flowers to show any change, which was super hard for a 2.5-year-old! 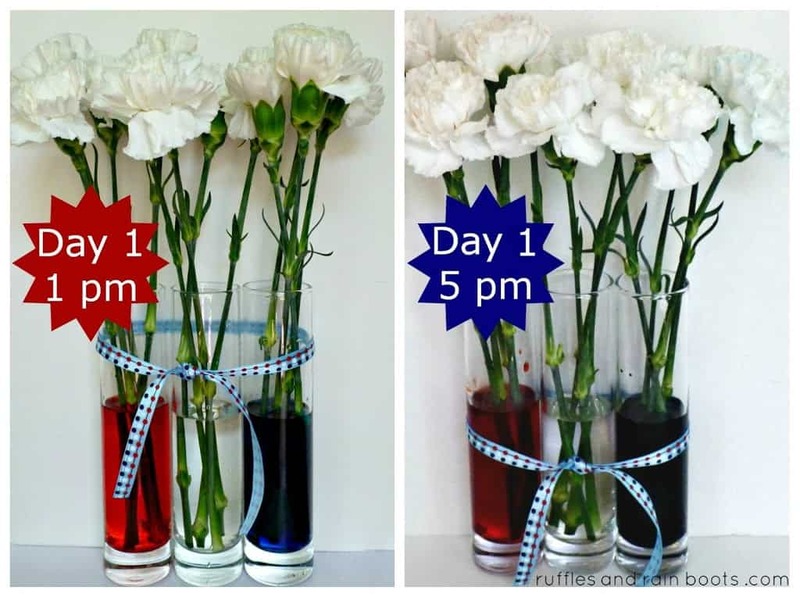 Overnight our color changing carnations hadn’t made much headway, but Elise could tell they were more colorful. Elise stared at them all through breakfast, whispering, “Drink, flowers, drink.” I did take them out to snip the ends but left the same water in. Elise was quite impatient at this point, wanting to color them with her markers. Although a great idea, I explained that the experiment would be over and she begrudgingly dropped the idea. We dropped it down to taking one photo a day of our color changing flowers. We came back to the house after our holiday travel, and Elise was so excited that they had deepened in color a great deal. Here they are still on our table, more than a week later, and we talk about them a couple of times a day. “Drink, flowers, drink” is still quite a popular mealtime chant. 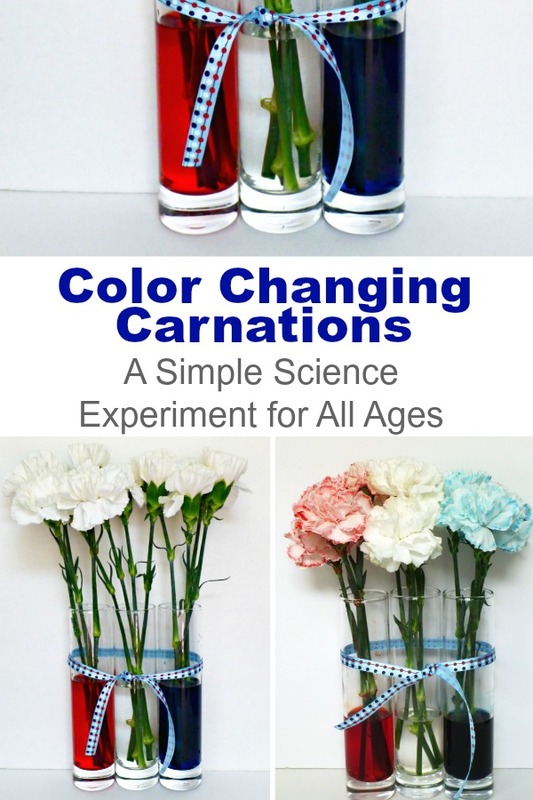 For some variations and more detail about the experiment you can do, check out one of my favorite sites, Steve Spangler Science and his colorful carnations experiment. 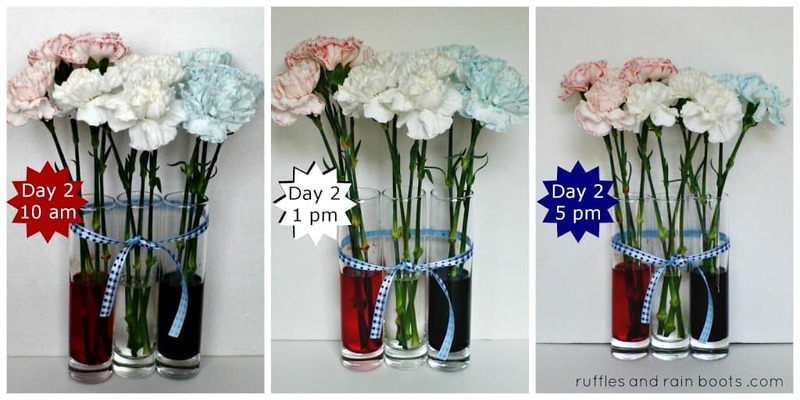 Thanks for sharing some time with us today for this color changing carnations experiment. 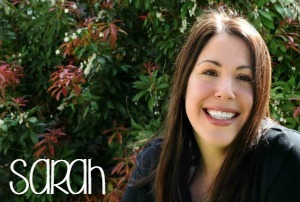 Be sure to share this with your friends on Pinterest or Facebook. 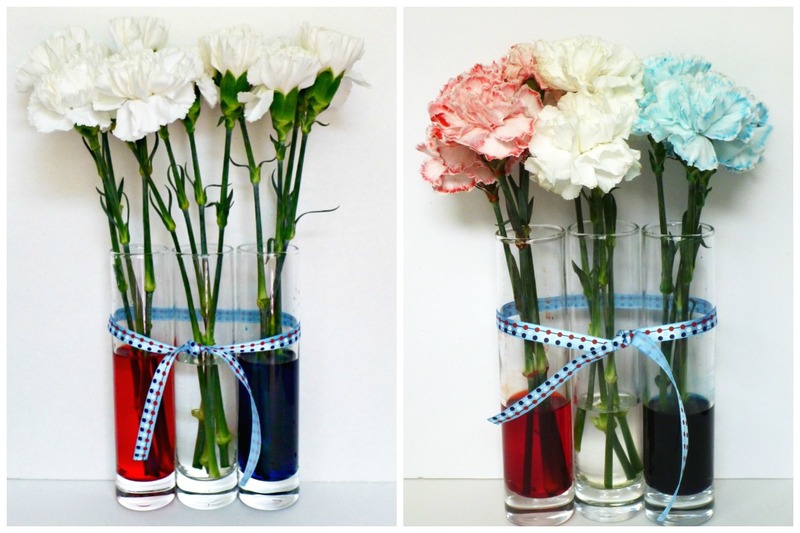 Everyone just loves this simple science experiment for kids.